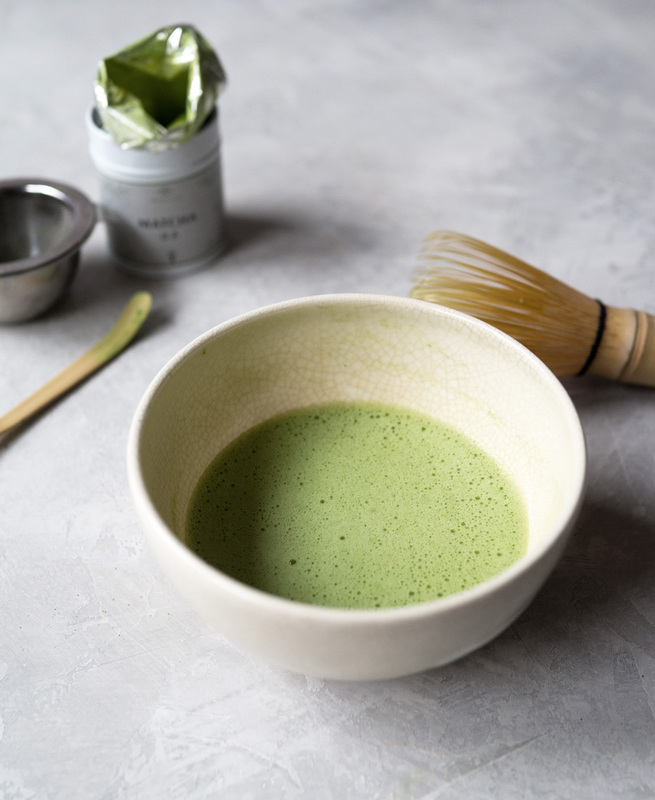 With this matcha guide, I’ll show you the tools you’ll need and give you step-by-step instructions on how to make matcha. Making a bowl of matcha green tea is easy. Making the perfect bowl of matcha, not so much. It takes practice, practice, practice. There are two traditional ways of preparing matcha — thin (Usucha) and thick (Koicha). I’m going to show you, step-by-step, how to make thin matcha which is an everyday drink and whisked until you get a froth. 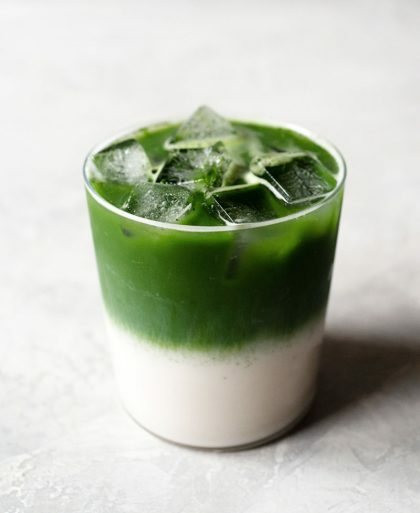 Thick matcha (no froth on this one) is usually reserved for special occasions and ceremonies — the taste is way more intense. I had seen it made in front of my eyes many times so I was fooled into thinking it was super easy to get that nice froth but it wasn’t until I tried it making it at home that I realized how hard it actually is. BUT! Have no fear, my matcha tricks and tips are here! Shall we talk about what makes a perfect bowl of matcha? We shall. 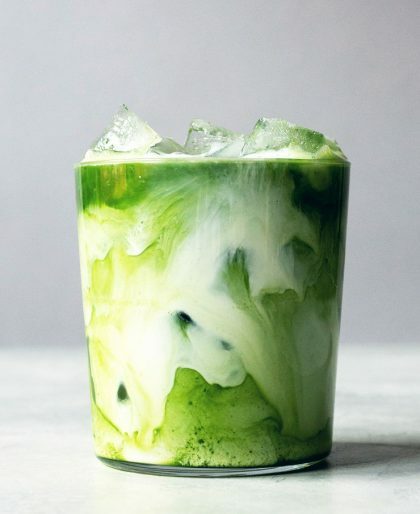 You want the matcha to be clump-free, vibrant green, and with a smooth froth with tiny tiny (almost nonexistent) bubbles. Seeing a lot of big bubbles in your matcha? No, thanks! The bubbles, or lack thereof, indicate right away how good you are at making matcha. The tea masters from Japan I’ve been lucky enough to meet whisk the most beautiful matcha I’ve ever seen. The bubbles are barely seen, as they are super tiny. All you see is a lovely smooth froth. Their matcha is consistently perfect, each and every time. Let’s talk froth. You can make matcha with very little froth or foam and it’s not wrong to serve it that way if the person drinking it prefers it. I prefer a nice layer of froth on top since it tastes creamier and has a better mouthfeel. Get a bright green one in the $30 – $50 range for drinking it without anything else but water. You can go lower in price when using it in recipes or for drinking it with milk. 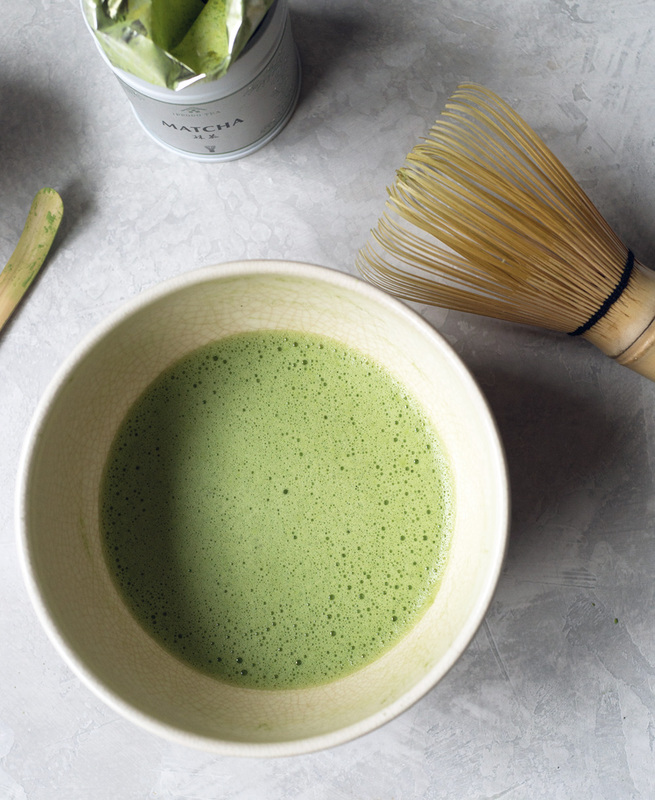 The key to clump-free matcha. This is a must for any serious tea drinker. 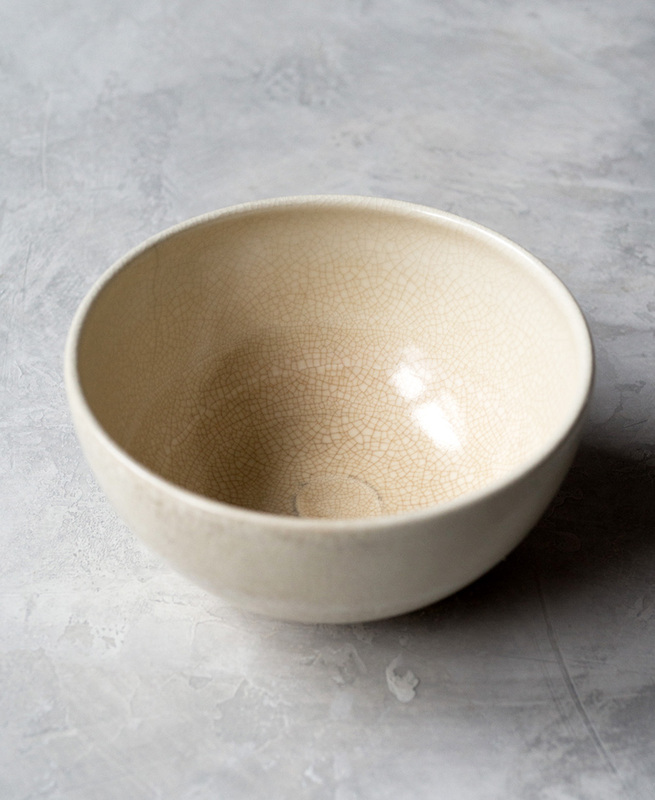 A matcha bowl is a slightly flat bottomed bowl with a wide opening. You need the wide opening so you have plenty of room for the whisk to move around. 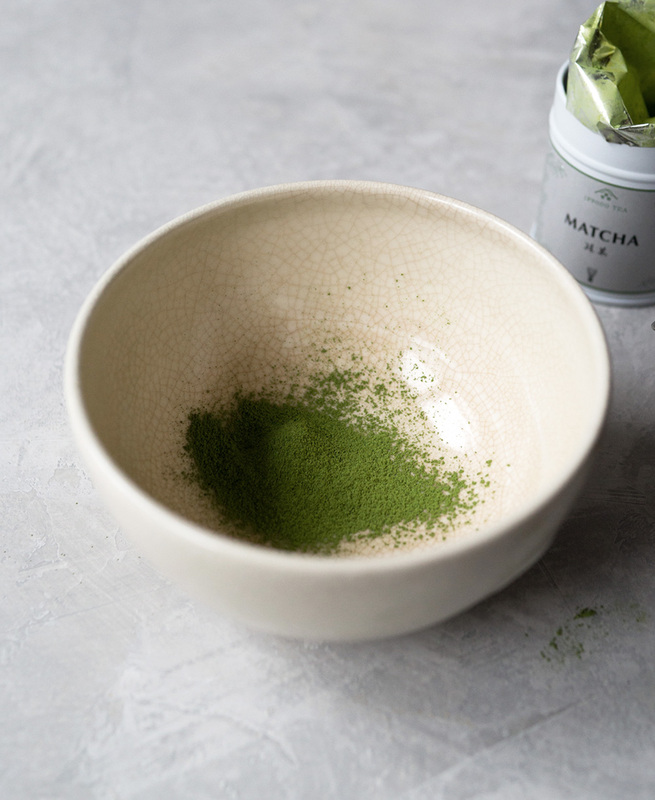 It’s meant to be sipped using both hands and matcha bowls are unique in shape and color to denote beauty in the imperfect. Place your left hand under the bowl and your right hand rounding the side of the bowl. There isn’t a lot of water that goes into matcha it’s meant to be had in 3 sips (!!). Right after using drinking from the bowl, you can rinse it clean by pouring in hot water, filling half the bowl and moving the water around the bowl. Throw out the water and add more hot water for a final rinse. You can use a paper towel or a thin towel to wipe the sides and top rim of the bowl. What I do is just wash it normally with my other dishes using a sponge to clean it with dishwashing soap and water. Little maintenance is needed unlike other matcha tools. 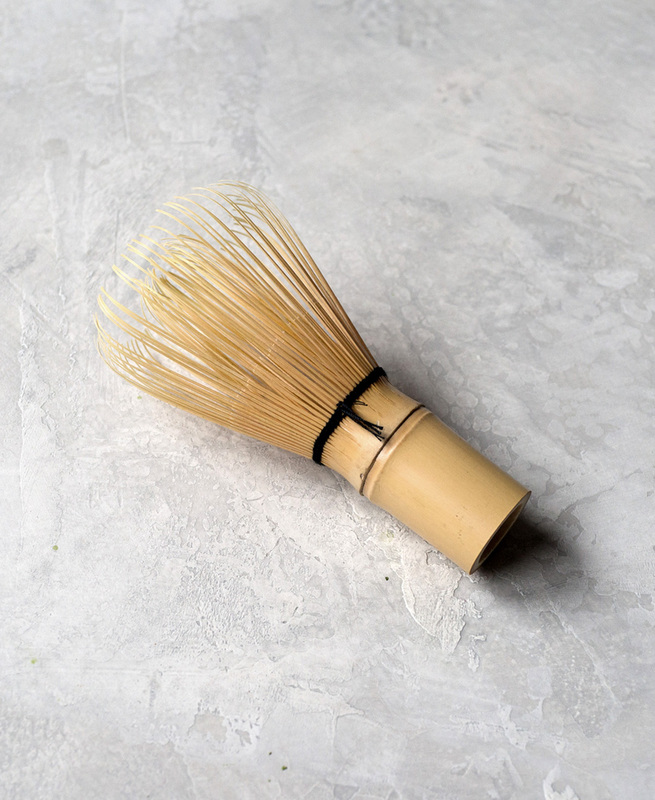 A chasen is a matcha whisk made from one piece of bamboo. The highest quality ones (they last longer) are made in Japan and cost $20+ while the ones made in China cost around $10. The most popular chasen is the 80-tip (the number of tips on the bamboo) but you’ll also find 100-tip and 120-tip. The more tips there are, the easier it is to whisk to get a better froth. 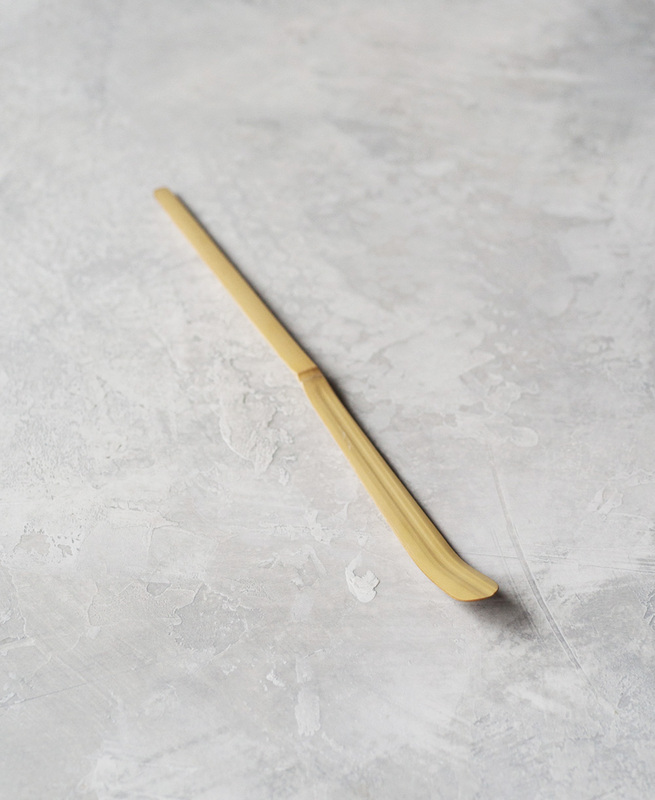 The whisks from Japan are made from bamboo that are treated with care so that the tines are super flexible yet strong. The flexibility makes it easier to create the froth. The whisks from Korea are less expensive than the ones made in Japan and are a little less flexible. The ones made in China are the poorest quality, are not very flexible, and you may see splintering of the bamboo. With all this said, if you’re starting out, I recommend the ones made in China or Korea since you may destroy it quickly from improper whisking like scraping the whisk against the bottom of the bowl. TIP: When you first use your dry whisk, make sure to soak it in warm water for about 5 minutes to soften the tips. Don’t store your whisk in the plastic container it came it. You need to let it air dry properly so either leave it upright or get a matcha whisk holder. Try not to get the handle of the whisk wet, only the bottom below the dark thread. After whisking, either whisk it in clean hot water or run it under the faucet being careful not to get the handle wet. After the rinse, take your thumb, index and middle finger and gather the center tines on the inside and give it a small twist to separate the outer and inner tines. Never, EVER store a wet matcha whisk back in the plastic container it came in and close the lid. This is the quickest way to form mold on a whisk. I store my whisk upright, handle side down on my counter. 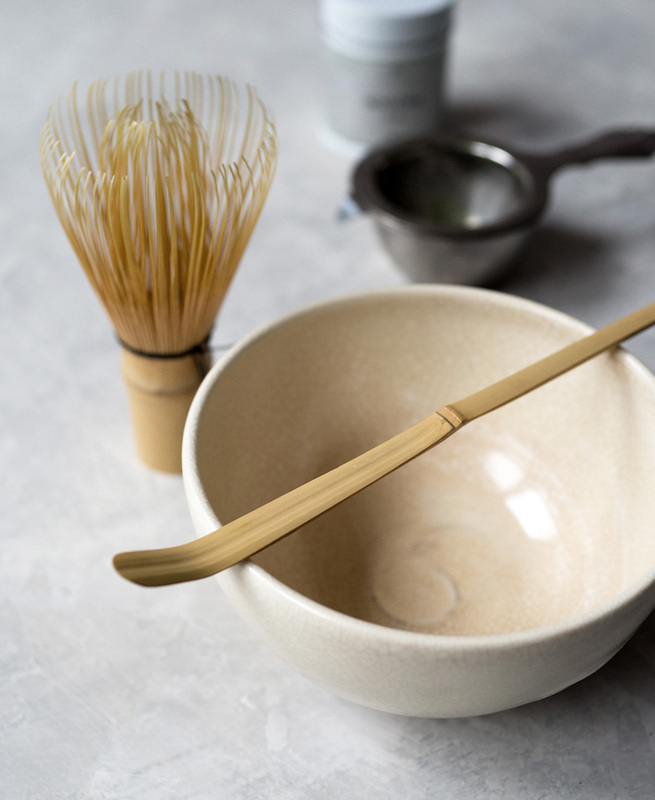 A bamboo scoop/ladle is used to measure matcha. 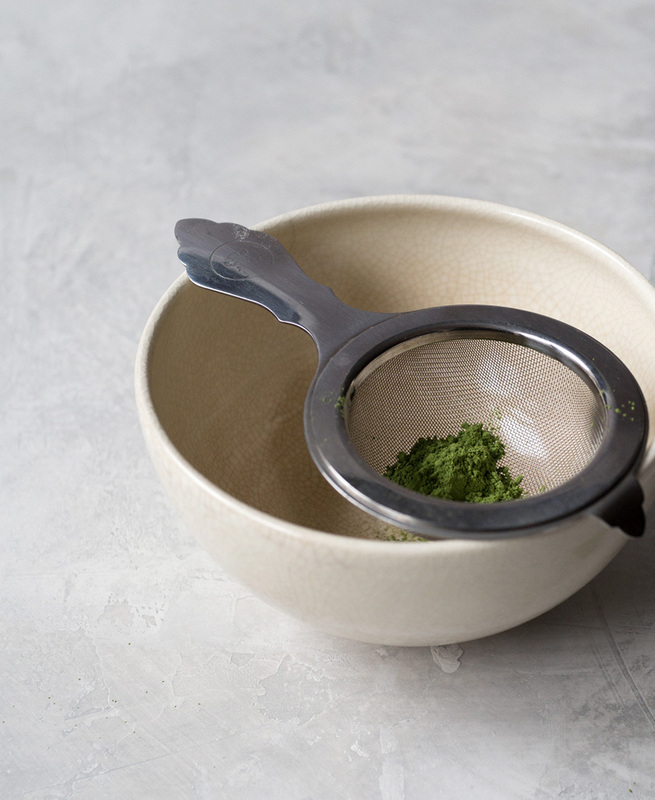 You can use a teaspoon instead if you don’t have one, although the scoop is usually included in most matcha sets. It’s up to you how much matcha you want but I go with the recommended 2 grams, or one and a half heaping scoops or one teaspoon. Never get the bamboo scoop wet. It can warp the scoop so that it flattens out the end. Ahem, if you notice my scoop isn’t as curved at the end as it should be, it’s because I did get it wet. Instead of cleaning it with soap and water, all you need to do is wipe off any matcha residue using a dry paper towel or cloth. I store my scoop on my counter either upright in a container, curved side up. Most matcha kits don’t include a mesh stainer but this is key to making a clump-free bowl of matcha. The quality of my matcha improved a ton after I started using a strainer. It’s an extra step that ups your matcha game. You can use a metal mesh colander in a pinch if you don’t have a small one. I use soap and water and wash it with my other dishes. Easy. In the US, you’ll sometimes see matcha labeled as ceremonial grade (higher grade) or culinary/cooking grade (lower grade). These labels don’t exist in Japan. It’s purely a marketing tactic for us here in the States but it does help in telling the difference between good quality and not-so-great quality matcha. The more expensive matcha is usually ceremonial grade and that’s the one you want when drinking it straight with just hot water. Look to spend $40 – $65. The better quality matcha is not very bitter and tastes somewhat sweet. Tons of umami. 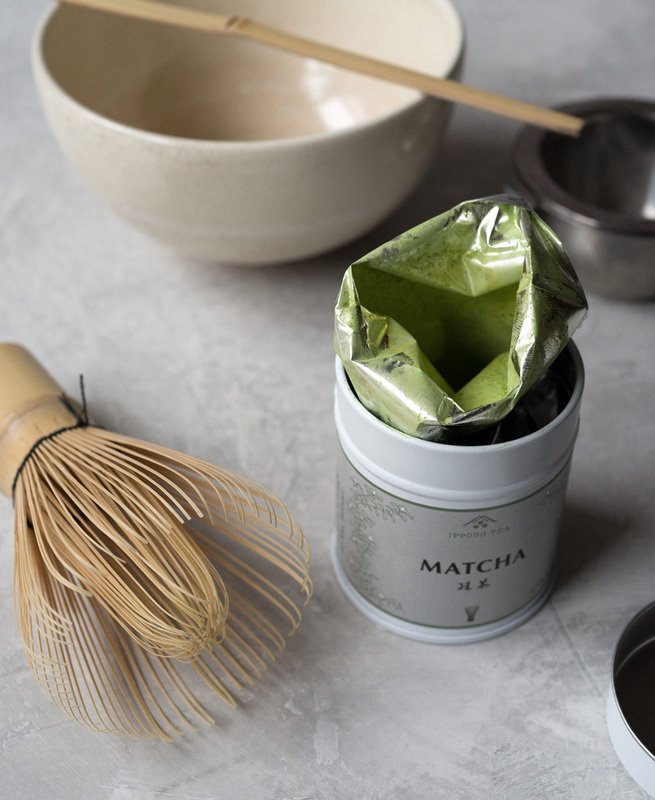 When using matcha in recipes or drinks with milk, look to spend $15 – $30. You don’t need high quality matcha when it get added to anything other than hot water. The color is the true indicator — it should be vibrant green. The duller the green, the lower in grade and quality. Have all your tools and matcha ready? Let’s start making matcha! I like to warm the bowl and soften the whisk tips first. Pour hot water into the bowl halfway and move the whisk around to soak the tips. Move and swirl the hot water around in the bowl gently to completely warm up the bowl. Pour out the water and dry the bowl using a clean cloth or paper towel. 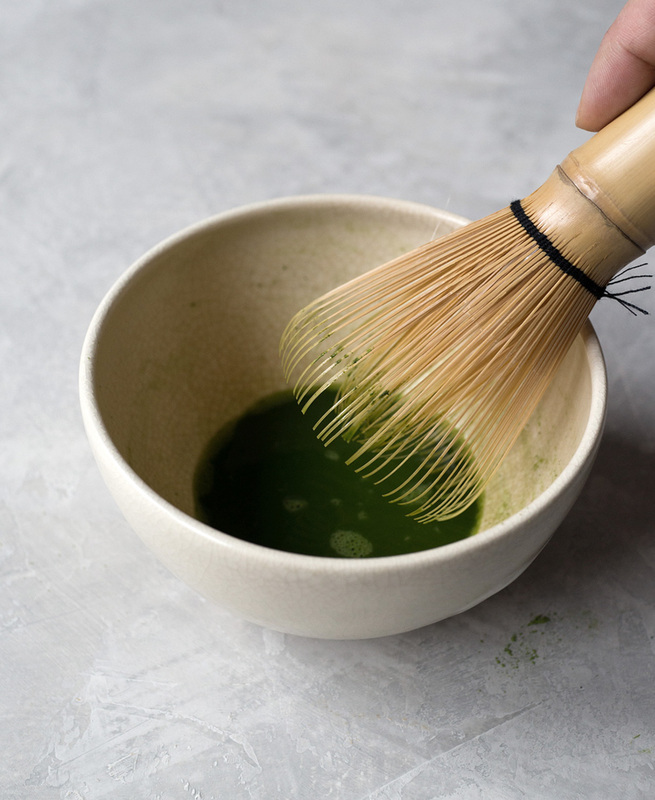 Place a strainer over the dry matcha bowl and using the tea ladle, put in one to two scoops of matcha into the strainer, depending on how strong you want your matcha to be. Sift matcha. The recommended water temperature for matcha is 175°F. You don’t want super hot boiling water here since it’ll make the matcha bitter, no matter the quality. You also don’t want water that’s too lukewarm since that’ll make harder to whisk the matcha properly and get that nice froth. You can take hot water, let it sit for a couple of minutes or pour the water into another vessel to cool it down and to get it closer to 175°F if you don’t have an electric kettle that indicates temperature. If you’re into tea and matcha, a variable temperature electric kettle is a must. Pour about three tablespoons of water into the bowl. We’re going to make a thick matcha to fully incorporate the matcha and water before starting the froth. Move the whisk around slowly in half circles until all clumps are gone. Add more water into the bowl until it’s a third of the way full. You never want to fill up the bowl all the way. Hold the handle of the whisk using your thumb and index finger, holding the whisk upright. Use the rest of the fingers to rest to support the whisk. The entire movement should come from the wrist. Briskly move the whisk in a zig-zag or a “W” shape. You want to make around 10-15 W’s. Be careful not to apply too much pressure to the whisk and don’t scrape the bottom of the bowl which will ruin the tips. Once you get a layer of froth, give the top of the froth a quick whisk to get rid of any bubbles from the surface. You can also push any bubbles to the side of the bowl to pop. If all things are aligned perfectly (the sifting, the water temperature, the amount of water, the whisking, and so on) you should have a lovely froth on the surface of the matcha. TIP: Move the whisk around to move the big bubbles to the edges and pop them! Enjoy your matcha straight from the bowl it was prepared in using both hands. One hand around the side of the bowl and the other placed at the bottom. 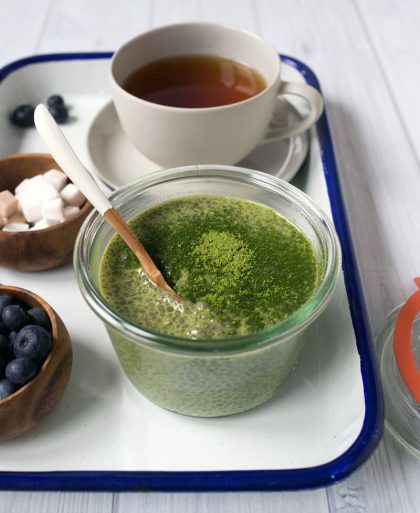 With ceremonial grade matcha, there shouldn’t be a need to add any sugar, honey, or milk. It should be delicious and full of umami on its own. You should drink the matcha in three sips which explains why there isn’t a lot of water that goes into making this. 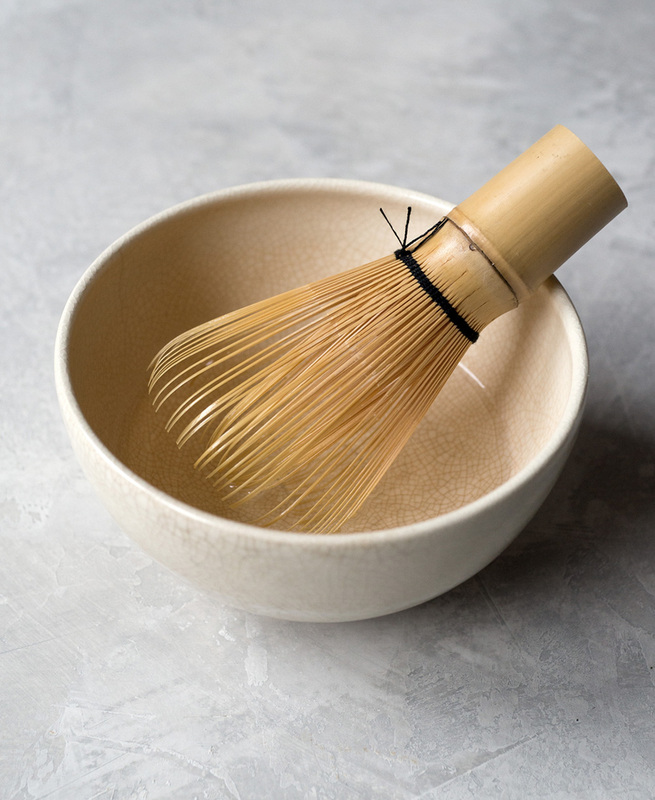 When cleaning up, rinse the whisk, no dish detergent, then store it upright or on a matcha whisk holder. 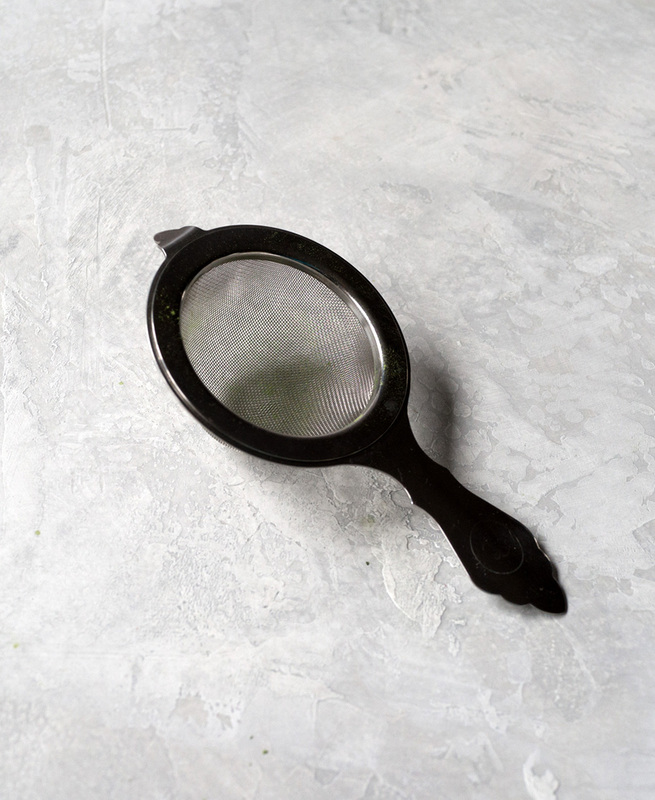 Wipe the tea scoop with a dry cloth or paper towel. 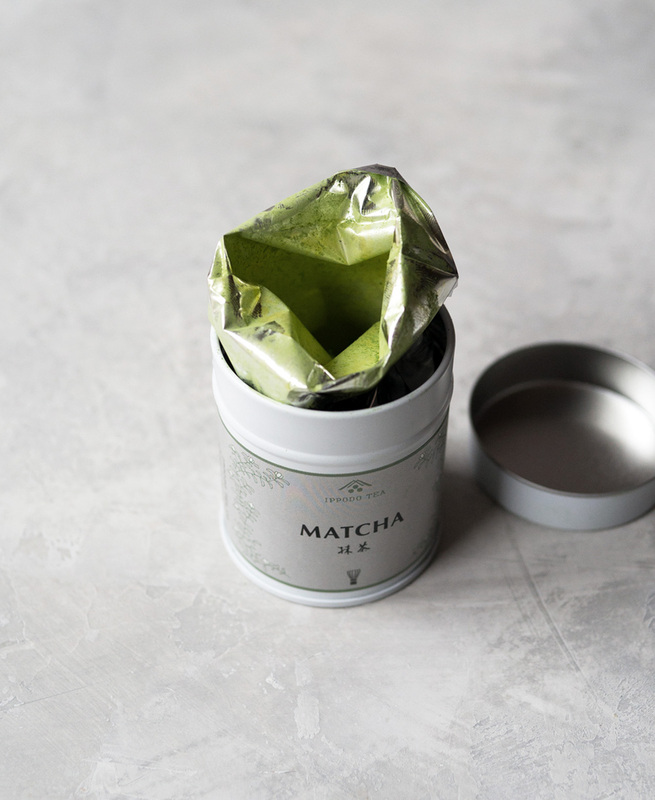 Store the matcha in a tightly sealed container. You can leave it out at room temperature or store in the fridge and use within 6–8 weeks. Hi, which Matcha brand do you recommend (Ceremonial and Culinary). thanks! Hi Mei, I like Ippodo and Kathy YL Chan’s for ceremonial grade (links are in the post) and for culinary, I like Ippodo or Aiya. I suggest that you try less water, 2 to 2.5 ounces. That way it’s much easier to froth. Hi Ricardo, thanks for the tip! I’ll give that a try next time! Nice post! Next time please include the unit of measurement of the water temperature… (I assume it is 175 Fahrenheit). Keep up the good work! Thanks for the note! Will update the post! I dunno. There’s something annoying about the writer’s voice here. Too cutesy. You know! !